India's Young Buds - Bowlers. Here is a list of Top 10 bowlers to keep an eye on during the 83rd edition of Ranji Trophy which begins a day after tomorrow. Only those bowlers have been included who have not represented India in any format. Shahbaz Nadeem was the highest wicket-taker in the last season of Rnaji Trophy. 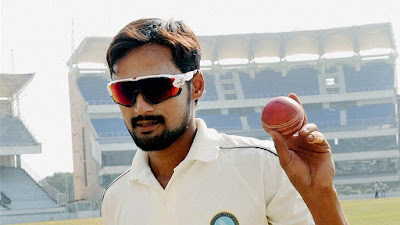 Shahbaz Nadeem (Jharkhand) - This 27-year old slow left-arm orthodox bowler finished as the highest wicket-taker in the last season of Ranji Trophy. In nine matches, he claimed 51 wickets at an average of 19.62 and a strike rate of 41.3 which was way better than his career average of 29.69 and strike rate of 66.6. Nadeem would be looking to top the bowling charts this year as well. Shardul Thakur (Mumbai) - This 24-year old right arm medium-pacer finished seventh on the list of highest wicket-taker in the last season of Ranji Trophy. His 41 wickets came in 11 matches at an average of 24.51 and a strike rate of 53.4. Having accompanied the Indian team to West Indies recently, he is definitely on the radar of selectors. Ishwar Pandey (Madhya Pradesh) - Another medium-pacer who has been constantly knocking the doors of the senior team. A sound domestic season might well provide him with the key of the door. 27-year old Pandey has 171 first-class wickets to his name in 49 matches which have come at an average of 26.77 and a strike rate of 53.5. Jayant Yadav (Haryana) - This 26-year old right-arm off-break bowler is already travelling with the Indian team. Whether a debut comes his way or not, Ranji Trophy will still remain the primary arena to pick wickets. In 42 first-class matches, he has 117 wickets under his belt. Krishna Das (Assam) - A bowler from Assam featuring in the list of Top 10 domestic bowlers of the nation is not a regular thing. This 25-year old medium-pacer was just a wicket behind Shahbaz Nadeem last year. 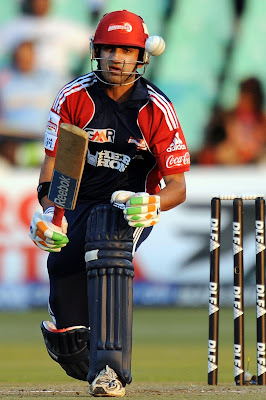 He bagged 50 wickets in 10 matches at an impressive average of 16.06 and a strike rate of 40.9. His consistent performances fetched him an entry into India Blue in the Duleep Trophy. Arup Das (Assam) - Just like Krishna, Arup also hails from Assam. The duo bowls in tandem for the North-Eastern state. In nine matches last year, Arup bagged 35 wickets at an average of 18.97 and a strike rate of 39.4. Anureet Singh (Railways) - This 28-year old right-arm medium-pacer is a renowned face in the Indian domestic circuit now. In his 48 first-class matches, he has 185 wickets to his name. Last season, his 36 wickets came in seven matches at an average of 18.22 and a strike rate of 46.5. Akshay Wakhare (Vidarbha) - Having played first-class cricket for close to a decade now, this 31-year old off-spinner has 144 wickets to his name in 39 first-class matches. Last year, he finished the Ranji Trophy with 49 wickets in nine matches, which came at an average of 26.63 and a strike rate of 58.2. Vidarbha would want him to replicate his performance this year as well. KS Monish (Kerala) - He ended the last season as the third-highest wicket-taker with 49 wickets in eight matches. This left-arm orthodox spinner has bagged 61 wickets in 13 matches in his two-year career at an average of 24.37. He has emerged as an essential cog in the wheel for Kerala. Dharmendrasinh Jadeja (Saurashtra) - In 23 first-class matches, Jadeja has 84 wickets under his belt. Just like his senior team-mate Ravindra Jadeja, he also bowls left-arm orthodox. In Jadeja's absence this year, the onus will be on him. Preview - IND vs NZ - 1st ODI. Preview - BAN vs ENG - 3rd ODI. India's Young Buds - Wicket Keepers. India's Young Buds - Batsmen.